I’m British, I don’t really like to blow my own trumpet but let me just start by saying BY GOD I’M GOOD! 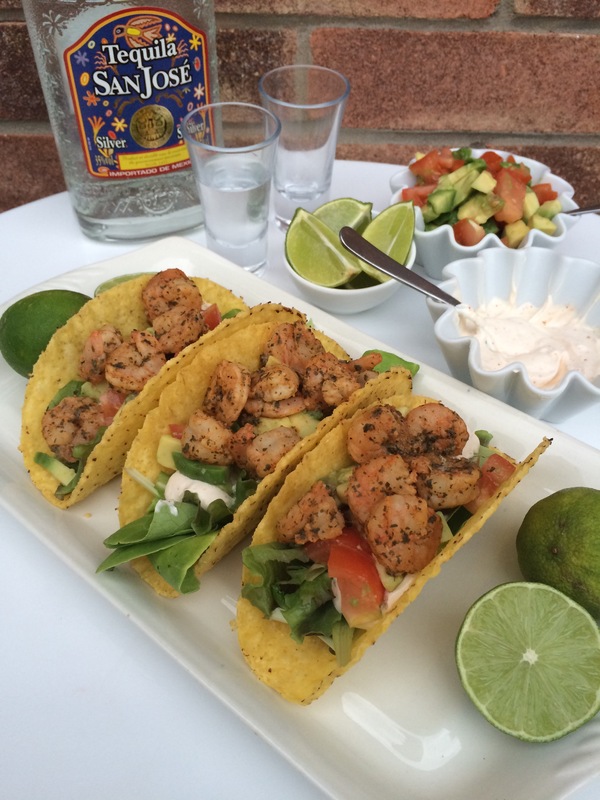 These Tequila Shrimp Tacos were one of my proudest culinary inventions. They rocked my world! Ahem, sorry about that. But you see they had sprung from the idea of a craving. I’d never had shrimp tacos before, I think I’d only ever eaten tacos once before actually, when I was about 17! But I had this idea. And this idea grew on me and developed and matured until I just had to make them. And they were everything I had dreamed! 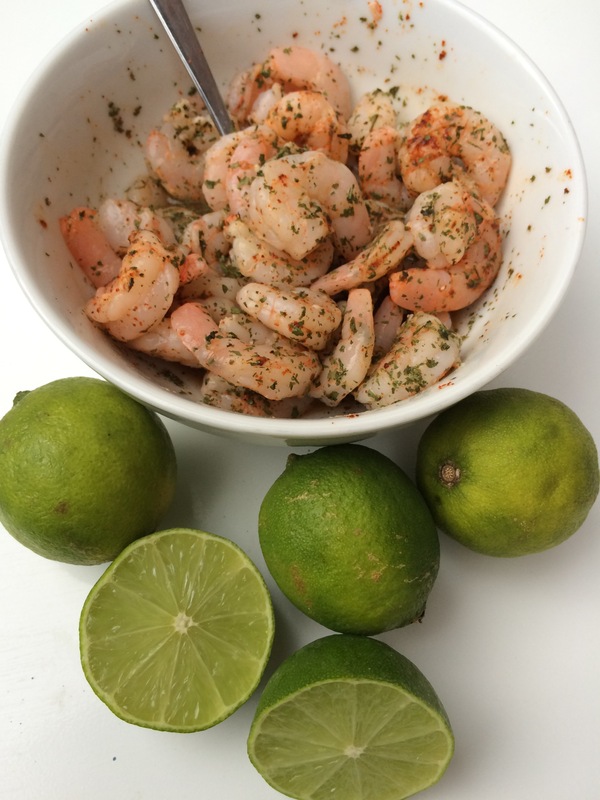 The shrimp were deliciously meaty and briney, the limes added that fresh ZING! that cut through and enlivened everything. The Lime Chipotle Creme Fraiche, OH MY GOD! THE LIME CHIPOTLE CREME FRAICHE! I could write sonnets to this little dish, I really could! All in all I was so so happy with this dish and I hope you will be too! – Heat a small splash of oil in a pan and add the king prawns, lime juice, chipotle chili powder, coriander, garlic and cumin to the pan. – Cook until everything is nice and fragrant but no so long that the prawns shrivel. – Add the tequila and simmer until reduced to a thick sauce. 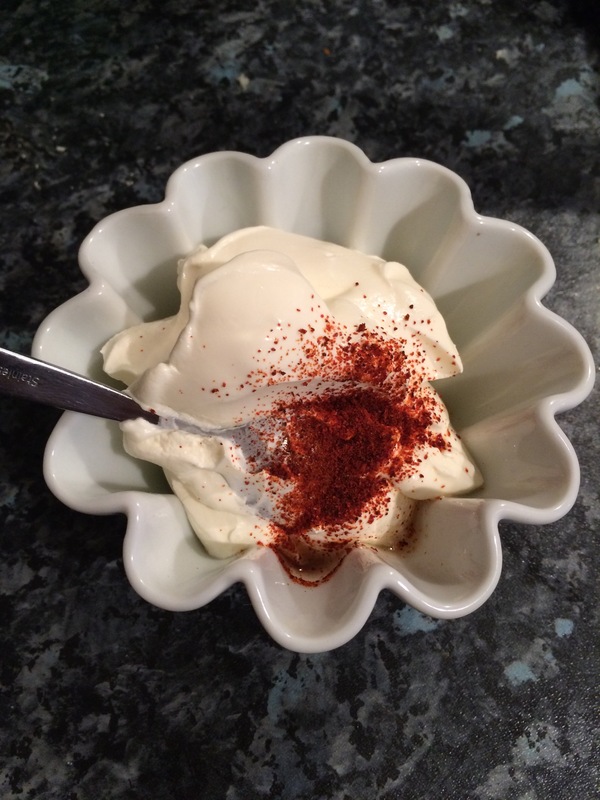 – Stir together the creme fraiche, lime juice and chipotle chili powder in a bowl and set aside. – Dice the avocado and tomatoes into chunks, add the lime juice and a pinch of salt, mix and set aside. 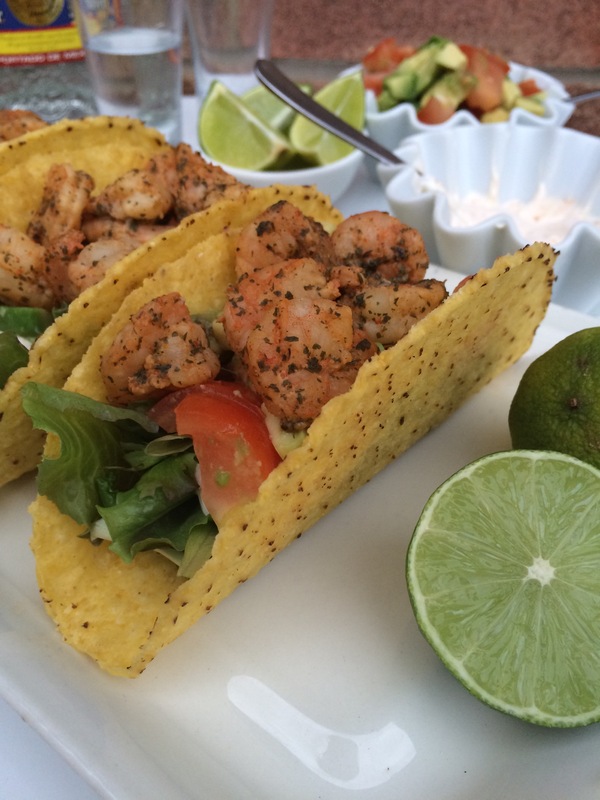 – Assemble your tacos with the lettuce and a good squeeze of lime on top. Since you’ve got the tequila out already why the hell not, eh?